It is another sad week for historians of psychiatry: Peter Gay — perhaps most famous in this field for his biography of Freud — has passed away at 91 years old. 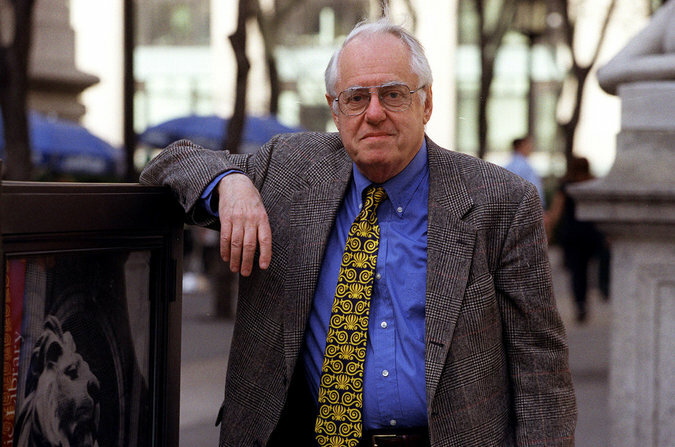 Peter Gay, a German-born historian whose sense of intellectual adventure led him to write groundbreaking books on the Enlightenment, the Victorian middle classes, Sigmund Freud, Weimar culture and the cultural situation of Jews in Germany, died on Tuesday at his home in Manhattan. He was 91. His death was confirmed by his stepdaughter Elizabeth Glazer. Mr. Gay, a refugee from Nazi Germany, devoted his long career to exploring the social history of ideas, a quest that took him far afield from his original area of specialization, Voltaire and the Enlightenment. “He is one of the major American historians of European thought, period,” said Sander L. Gilman, a cultural and literary historian at Emory University. It was his work on the 18th century that sealed Mr. Gay’s reputation as one of the pre-eminent historians of his generation. “Voltaire’s Politics,” published in 1959, was followed by “The Enlightenment: An Interpretation,” a monumental two-part study whose first volume, subtitled “The Rise of Modern Paganism,” won the National Book Award in 1967. The second volume, subtitled “The Science of Freedom,” was published in 1969. A longstanding interest in Freud’s ideas led Mr. Gay to train at the Western New England Institute for Psychoanalysis and motivated him to write a revisionist psychohistory of the Victorian middle classes, “The Bourgeois Experience: Victoria to Freud,” whose five volumes were published in the 1980s. He also wrote the highly acclaimed “Sigmund Freud: A Life for Our Time” (1988), the first substantial Freud biography since the three-volume one by Ernest Jones from the 1950s.